Mr. Petrucco is a Co-Founder and Managing Partner at Backcast Partners. Backcast is a middle market direct investment business that invests debt and equity in traditional middle market companies, or companies with EBITDA typically in the $10M-$50M EBITDA range. Backcast invests alongside traditional PE firms, as well as with Independent (Fundless) PE Sponsors and family and management owned companies. Backcast prides itself on bringing differentiated value to its portfolio companies, including the use of its 50+ corporate operating partner network, that brings industry experience and contacts, IT and executive recruitment expertise and a host of other value added capabilities. 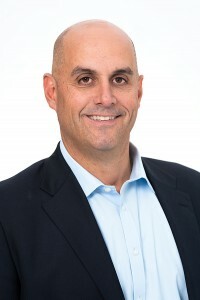 Prior to Backcast, Mr. Petrucco was a Co-Founder of the middle market direct investment platform at Kayne Anderson, where he oversaw with his partner a team of 17 professionals located across the U.S. which invested in similar middle market companies across a variety of different credit funds. Prior to Kayne, he was a Managing Director in the Corporate Debt Group at Blackstone, a middle market focused direct debt and equity investment business. Prior to Blackstone, he assisted in the construction of a middle market debt and equity investment platforms at The Royal Bank of Scotland, where he headed North American debt and equity underwriting, syndications and sales and trading. Prior to RBS, he was the second hire in the construction of a similar platform at UBS. Mr. Petrucco began his career at Manufacturer’s Hanover Trust after graduating from Boston College (1989) with a B.A. in Economics. He is a Co-Founder and Vice Chairman of the Executive Board of The Headstrong Project (www.getheadstrong.org), a non-profit charity that provides comprehensive treatment for Iraq and Afghanistan combat veterans suffering the effects of PTSD and who are at risk for suicide. He is also a member of ProVetus (www.provetus.org), a non-profit that provides mentoring for returning U.S. combat veterans to assist them as they transition back into the civilian workforce. Additionally, he is a member of The Special Operations Fund, a charity whose primary mission is to provide financial support for higher education, in college or technical school, for families of personnel who have died in the line of duty while serving with certain units of the U.S. Special Operations Command (www.specialoperationsfund.com).